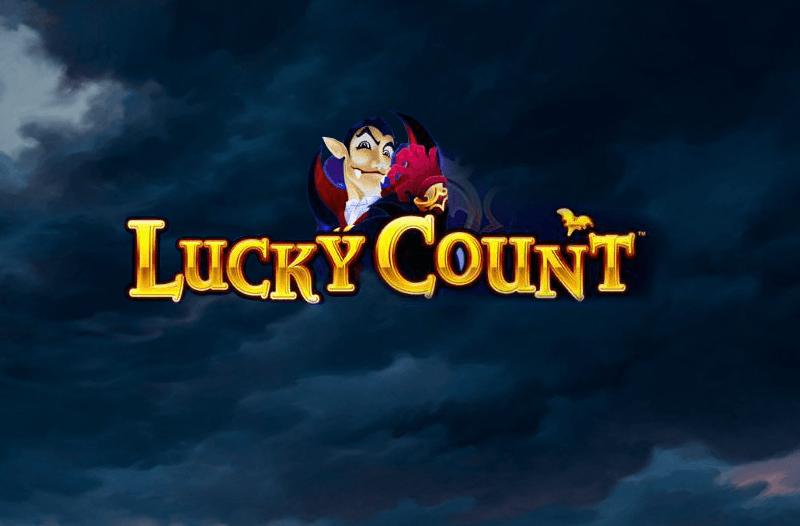 The software developer company Aristocrat Technologies created a slot machine called Lucky Count, which is themed and inspired by the famous vampire Dracula. This company adds to the trend of vampires and werewolves in a different way, their graphics do not stop being good and the atmosphere of the game as much as their wallpaper is still dark, however, it does not transmit any terror with all this Halloween style because its graphics and images have a certain caricature and brightness, without lack of details. Many people present tastes for vampires and this whole world of myths, they will enjoy the Lucky Count slot for its good visual appearance that revolves around the world of Dracula and the sound effects that set the game in a spectacular and certainly exciting way. The Lucky Count slots is not a very complicated or difficult game to play, it was designed to be simple, basic and without much to lose; This is to help new members, beginners players that start playing slot games, being Lucky Count the simplest and their best game option. As for any betting game, you must choose the amount you wish to bet, the number of lines that the player wants to activate and after that only click on the spin button. The chances of winning can be as high as to reach 94.98%. The payments are more than just decent because not every game that contains this simplicity can offer the player a total of up to one hundred thousand pounds. In the slot games, the graphics that fall on the spinning reels are the faithful friends of the pokies players, and victory depends on what appears there. This Lucky Count slot machine has a screen that contains five spinning drums and up to twenty-five pays lines. The graphics are the vampire Dracula, the vampire castle, a wolf, a golden chalice containing blood, a red rose, different cards like Ace, King, Jack, Queen, number ten and number nine. These lyrics mix very well with all the aura and dark theme of the game, which somehow manages to stay elegant and with certain brightness. This slot does not bring a wild graphic like the common slots, Lucky Count is so great that it brings two wild cards graphics; these are the bat graphics and the graphics of the vampire Dracula. Both being the wild cards have the singularity of replacing all the other graphics to help the player win whenever the opportunity presents itself, but like all slot machines, the wild card or the wild cards, as the case may be, cannot replace the scatter, graphics of distribution; which in this case is the castle where Count Dracula lives. After choosing the number of pay lines that you want to activate and the amount of the bet for each one, the game is won from left to right, without including scatter charts. Lucky Count Prizes are received per line, and bonuses are obtained from the combinations that generate greater profit, however, each victory is included in different lines in order to reward the player as he should. The prizes obtained by the dispersion charts will be added to the payment lines that are considered the most potential to win. You can multiply the different winnings with the total of credits that you chose to bet online and the result of the credits bet will multiply with the prizes obtained thanks to the dispersion chart. The bonuses obtained will be more than just amazing. In addition to all this, the bonuses that the free game of Lucky Count brings have triple payment options, a total madness. In the meantime, winning and winning, the most in recorded earnings have been up to one hundred thousand pounds in this fantastic Lucky Count slot. The team of Aristocrat Technologies designed for players the option of having a window or tab that lasts up to ninety days, this should not be closed or restarted during that time and so the player will continue without problems his game with real money on the internet. Ray! The page closed what will happen now? All winnings will go to charity automatically, this in addition to if the player did not play again within that number of days. The player must know the potential combinations to win prizes. A list is available on the game screen that explains to the player before starting everything he has to know so that winning is possible. The player must be aware of getting up to three scatter castle graphics so that the bonus went into action. If after the turn the three scatter castles were won, then the round starts with fifteen free spins. However, if the number of scattering castles is greater, such as five or up to four scatter charts, the number of turns increases to twenty-five and even forty additional spins. Do you want to know what is great? During these free rounds, you can get even more free spins if you come across the same combination again, this is completely beneficial, but it can only be done about fifteen times; so do not waste your opportunities. Count Dracula is a multiplier of the prizes, be aware that he has his place in the reels since he barely appears becomes a multiplier of up to three times for all graph of Count Dracula and the bat that is on the screen to simple sight on the reels. Lucky Count, despite being a simple and simple game, contains many functions and features to guarantee the player the best experiences and many more opportunities to win. This very fine game also has the option of guessing that not all slots have and many players know, this is to correctly guess the color of a card that will be displayed on screen, if you guess correctly then the multiplier up to twice will be unlocked and if you want to unlock the multiplier four times you just have to guess the next riddle. It looks simple, but can you guess? A game as fantastic as Lucky Count cannot simply be available on a single platform; this slot is found in all types of casinos, terrestrial or virtual around the world, in many cities of all countries. Many virtual casinos have different ways to register and other steps to follow, though. However, if the player is looking for direct fun if no type of registration, this is also possible with many pages and portals on the internet where it will be played for free without much delay. This also serves to test the game first, become familiar and know before the player dares to bet real money in a land casino or an internet portal. If the player is a first-timer, this game falls as a ring to the finger; all you have to do is look for it. If the player already has experience and has a certain hierarchy, he will know how to approach his favorite casino. Dare to travel to Transylvania and see the huge castle of Dracula, there you will find many treasures and hidden prizes. Do not forget the mysteries hidden there, for Count Dracula is certainly elegant, but he is still wild. The Lucky Count slots is not a very complicated or difficult game to play, it was designed to be simple, basic and without much to lose; This is to help new members, beginners players that start playing slot games, being Lucky Count the simplest and their best game option. As for any betting game, you must choose the amount you wish to bet, the number of lines that the player wants to activate and after that only click on the spin button. The chances of winning can be as high as to reach 94.98%. The payments are more than just decent because not every game that contains this simplicity can offer the player a total of up to one hundred thousand pounds. In the slot games, the graphics that fall on the spinning reels are the faithful friends of the pokies players, and victory depends on what appears there.